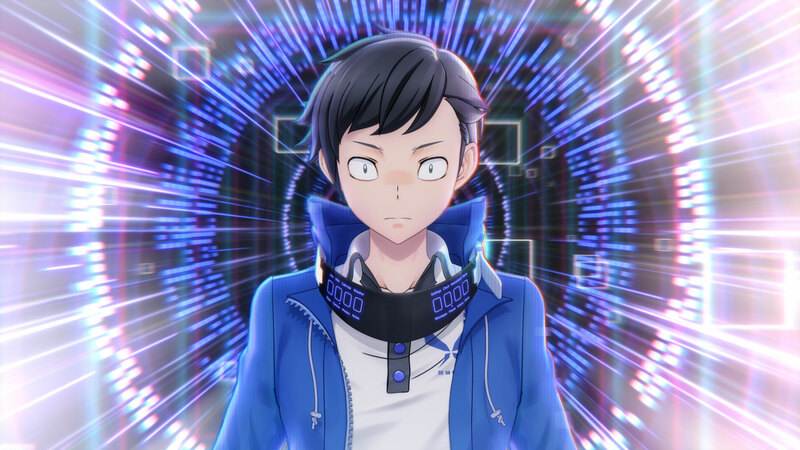 Digimon Story: Cyber Sleuth – Hacker’s Memory is Bandai Namco’s latest addition to the Digimon universe following its predecessor that came out two years ago. In reaction to events from the previous game, this one follows a male protagonist as he goes through the adventures of monster hunting and training, a compelling storyline revolving around characters that have their own plots that tie into his own objectives. Despite the battle system not being anything we haven’t seen before, it was quite refreshing not to have to relearn some convoluted new system while progressing through the story. Not without its faults, this game is still quite enjoyable and brings any person who grew up loving Digimon back to their childhood wishing they too had a digital monster. You start off on the searching the internet as Keisuke who has had his life ruined recently when his identity is hacked and stolen from him. With no real identity, this results in him getting expelled from school. This leads Keisuke to the hacker group Hudie, who are trying to retain the peace in the digital world of EDEN. 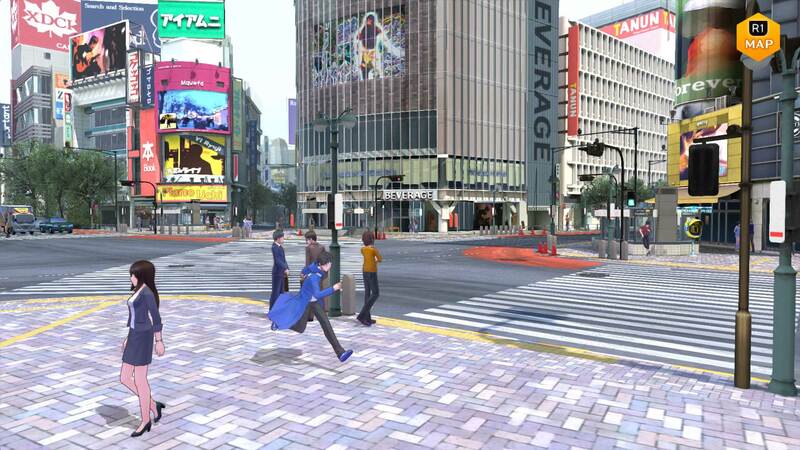 As the game progresses and you navigate the city streets, you quickly begin to realize as you speak with NPCs that Keisuke’s situation is not an isolated incident. He must find his way weaving between the digital landscape and the real world to get his account back by going after those who took it. Along the way he eventually learns about Digimon and the inner workings in the EDEN, relying on his friends to guide him in the right direction of the culprit. His plot converges into an even larger one when he comes across a case of the human memory coinciding with the online server. He meets Hudie member Chitose’s sister Erika, who at first glance seems like a brat, but we later learn that due to a rare disease where her brain can processes more than it could, she has been storing excess memories into the online server. And if she doesn’t store it somewhere, it can kill her. 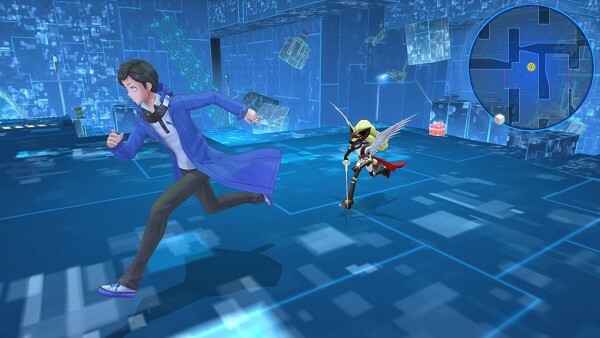 As a JRPG, Bandai – Namco uses an artistic style similar to the Persona games. I find games like these to be quite refreshing as most developers now heavily rely on hyper realistic graphics and who can ‘out reflection’ the other. You start off in the online server during the first few moments of the game as you (re)learn the games mechanics, and at first the environment looks really cool, coupled with some funky music that I really enjoyed. Unfortunately overtime I started to notice reoccurring or similar landscaces in the world of Eden, which made me feel a little duped as I was promised a ‘vastly creative landscape like no other’. Slight modifications were found in levels like a color or texture change or the odd placement of something. This could have been further developed, and a more vast variation of aesthetics would have made these areas a lot more compelling for exploration in terms of visuals. I did find that especially in the real world, some of the visuals got a little blurry or low res. In terms of the battle system, I would compare it as a cross between Final Fantasy X’s turn base system (with a similar ‘turn meter’ design), and Pokémon because these ‘digi-destined’ acted kind of like trainers. As much as I was looking forward to a cool new approach to battles in the beginning, it eventually felt good to have an easy comfortable system to rely on. In terms of Digimon, I got quite excited to see some fan favorites from the original series. 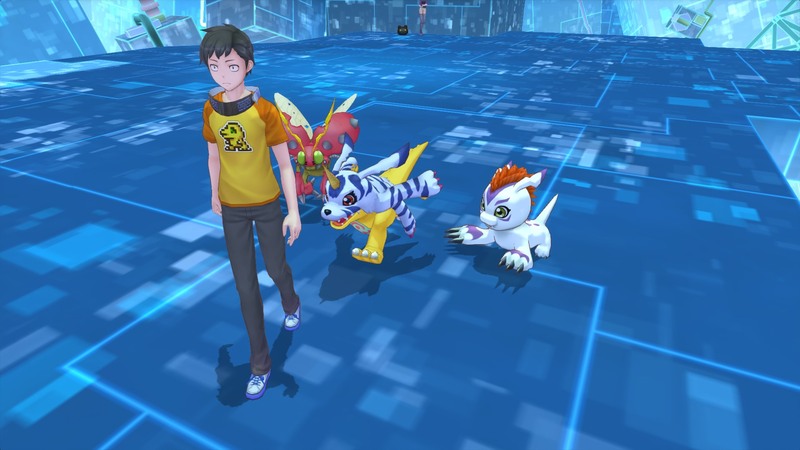 After purchasing your first one from a shady Digimon dealer on the online server, you quickly get immersed in not only the battle system, but how to further develop your companions through digivolving, breeding, cross breeding and more! This game can seriously be time consuming, and all consuming for that matter by just the sheer fact that there are literally 300 different Digimon to collect. On top of that, once you start digivolving you’re gonna want to get the best line up you possibly can to fight off those good for nothing hackers who took your identity. One thing that I was NOT prepared for were the set camera angles. For someone who is essentially always playing 3rd person games and loves to explore every crevice of a landscape, I found it a bummer that I couldn’t control where I was looking especially when I am in the real world. I did like how many shops and places there were to explore, I just wish I was able to control where I was looking. The invisible walls made it kind of limiting as to where I could go as well, making this game feel slightly aged more like to a ps2 game. What I did wish was for the option to have an English dub, as reading so much got tiresome after long periods of time. Though as someone who genuinely wants to learn Japanese, this was a blessing in disguise and eventually I got used to all the reading and the story stayed captivating enough for me keep going. If you like a nice cross between Pokémon and Persona 5, this game gives it to you quite well. With battle mechanics that gamers already know, the familiarity of a series most have grown up with, and a compelling roster of characters and situations, this game can easily become addictive in the quest to retain your identity and have a blast along the way. If only the graphics and the camera issues were addressed a bit more, this truly could’ve been a much stronger game. 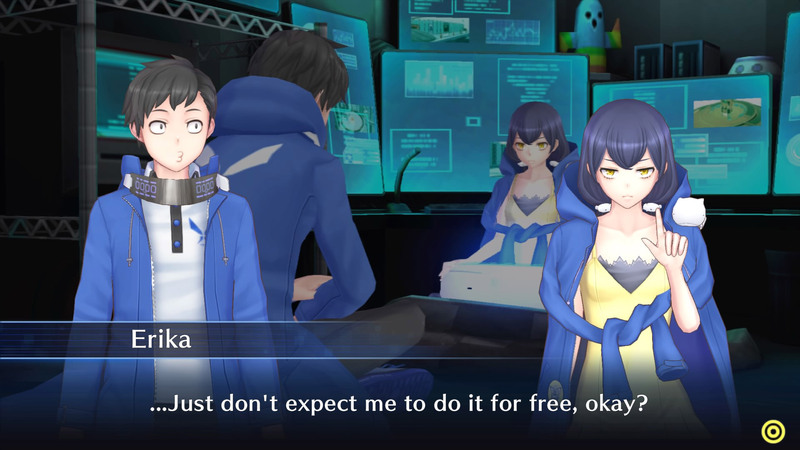 Digimon Story: Cyber Sleuth – Hacker’s Memory is available now for PlayStation 4, PlayStation Vita! Even with the Visuals needing just a little bit of work and the camera angles being quite unwieldy, Digimon Story: Cyber Sleuth - Hacker's Memory delivers a solid RPG experience with mechanics that's familiar and comfortable to long-time fans of the series. 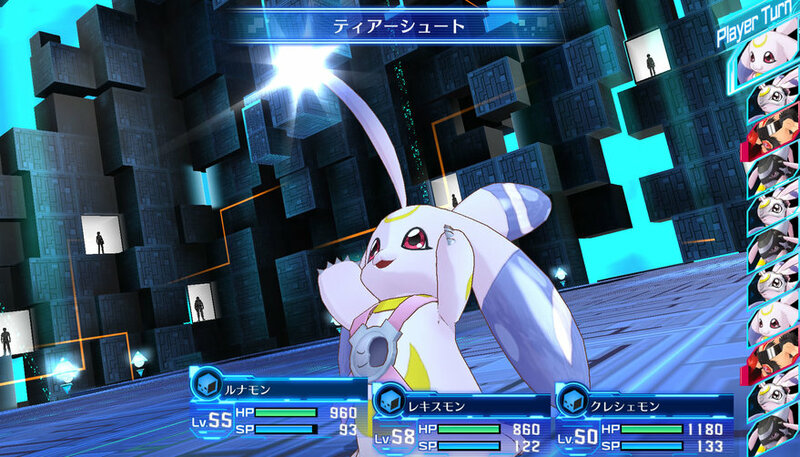 If you're an RPG-lover, you'll love the Persona meets Pokemon style that the game brings. Previous articleSaddle up! Red Dead Redemption 2 finally has a release date!